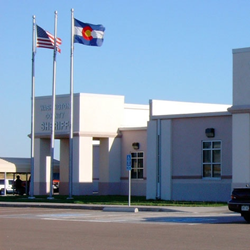 eFORCE Software has been chosen by Washington County, Colorado Sheriff's Office to provide Records Management Software (RMS) and Jail Management Software (JMS) to the county. I know eFORCE will do what we need. eFORCE Software will soon be providing service for Washington County, Colorado. The county sheriff’s office recently decided to implement eFORCE Records Management Software (RMS) and Jail Management Software (JMS) to help make their jobs easier and their community safer. Washington County Sheriff’s Office serves roughly 4,800 citizens, spread across 21 towns or villages, in northeastern Colorado. The office currently employs 10 sworn officers. One of the pivotal factors in the county’s choice to use eFORCE was the affordable cost of the software, implementation and annual support. In addition to cost savings, the sheriff’s office is also looking forward to the enhanced communication the software will provide between their office and surrounding agencies. “Plus, other agencies have eFORCE. That will let us tie in together [with them],” said Kimsey. Washington County will be joining 15 other county agencies and 35 police departments in the state as an eFORCE user, including the neighboring counties of Yuma, Elbert and the Weld County District Attorney’s Office. eFORCE Software is a tenured public safety software provider that offers flexible, state-of-the art, web-based solutions in a hosted or locally installed environment. Hundreds of customers enjoy the benefits of eFORCE’s proven, leading-edge technologies, which range from small hosted campus police departments to an entire country. For additional information, visit http://eforcesoftware.com.